1. Personally, Identifiable Information: This refers to information that lets us know specifically about you i.e. first and last name and/or email address. This PII information is securely stored and may be accessed on our website. A. Ordering: When you place an order for services or vacation package, we collect Personal Identifiable Information, so that we can process your payment, deliver your order and to communicate the status of your purchase. B. Credit Card Storage: Credit Card information collected at registration or for product orders is used only to process payment for the transaction and, generally, is not retained on our Site. However, you may voluntarily elect AnR Travel to securely store multiple credit cards to be used for package purchase through “said” vendors. C. Surveys and Promotions: Occasionally, you may voluntarily provide PII to complete surveys and/or questionnaires or to participate in our polls. We use this information to improve our services and to ensure that we’re providing accurate disclosures. We may also use you PII to provide you publications and other marketing information that coincide with your preferences. 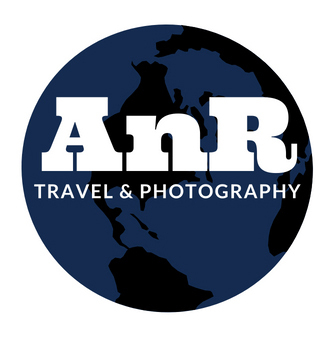 You can always inform AnR Travel in writing at anrvacations@gmail.com, if you do not wish to receive any promotional materials via email. 2. Aggregate Information: This refers to information that does not, by itself, identify you as a specific individual. Such information would include the Uniform Resource Locator (“URL”) of the website that referred you to our Site, your Internet Protocol (“IP”) address (a number automatically assigned to your computer whenever you surf the web), you operating system and browser type, and any search terms that you enter on our Site. Our web server aggregates this information to monitor the level of activity on our Site, evaluate its effectiveness, and improve the content or our Site in or to make your visit an easy and enjoyable experience. We may collect, compile, store, publish, promote, report, or otherwise disclose or use any Aggregate Information, provided that such information does not personally identify you. We do not correlate any PII with the AI that we collect on our Site. If we do correlate any AI to you, it will be protected like any other PII under this Policy Statement. We take special care to protect the privacy needs of children and encourage the parents to be an active participant in their child’s online activities. Our site does not target and is not intended for children un the age of 18, and we will not knowingly collect Personally Identifiable Information from them. If we discover personal data from a child through our site, we will eliminate that data. You may learn more about protecting children’s privacy by visiting: http://www.ftc.gov/bcp/edu/pubs/consumer/tech/tec08.shtm.